Goldman SachsGoldman Sachs analysts Paul Antonios, Olivia Benjamin, Peter Heye, Ashley Macaulay, Sam Obletz. It’s not every day that a group of young analysts gets to pitch an idea close to their hearts to a Wall Street chief executive. 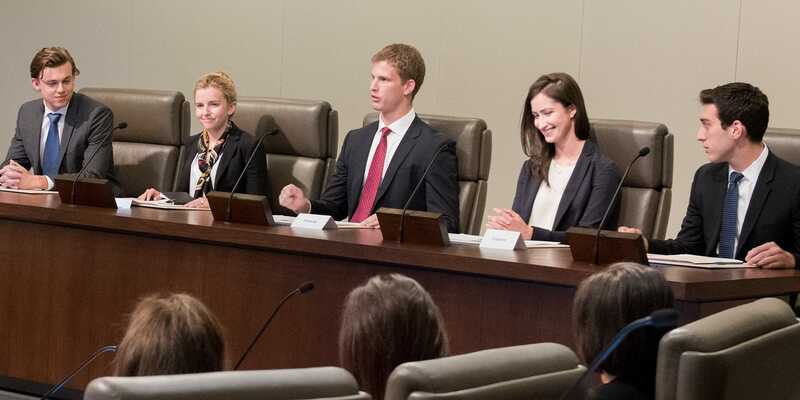 But that was the case for a handful of Goldman Sachs junior staffers this week who found themselves in a meeting with CEO Lloyd Blankfein and some of his top lieutenants, presenting months of their own hard work and research. 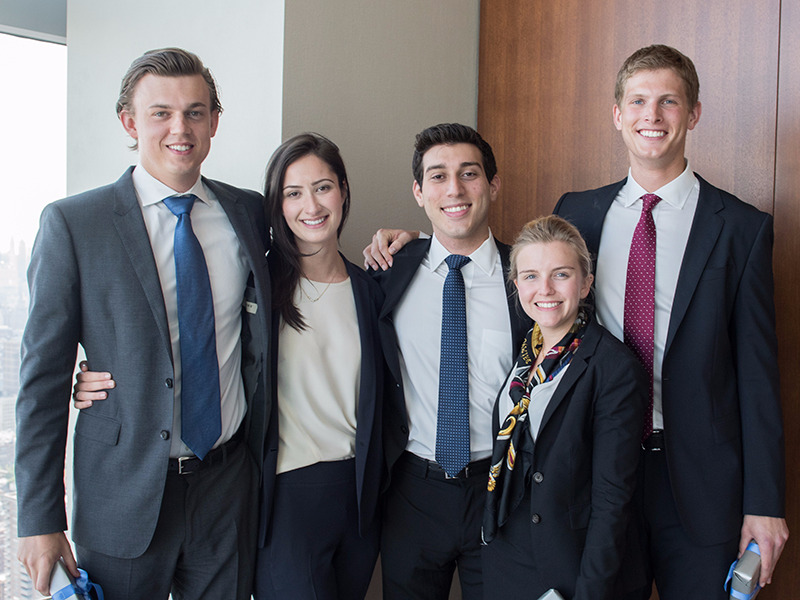 They were finalists in the “Goldman Sachs Gives Analyst Impact Fund” competition, in which second-year analysts around the world vied for a grant for the nonprofit organisation of their choice. The initiative, launched this year, is funded by Goldman Sachs Gives, the philanthropic fund sponsored by the firm’s partners, and judged by the partnership committee. “If you would have told me a few years ago that as a second-year analyst at Goldman, I would have the opportunity to be pitching to Lloyd Blankfein and the partnership committee on behalf of an organisation that I vehemently believed in … I would tell you you’re crazy,” Olivia Benjamin, a member of the winning analyst team, told Business Insider. Benjamin, an analyst in the investment management division’s Alternative Investments and Manager Selection group, teamed up with fellow analysts Paul Antonios, from the securities division, Ashley Macaulay, from the investment management division, and Peter Heye and Sam Obletz from the investment-banking division. BloombergEdith Cooper, Goldman Sachs’ head of human capital investment and vice chairwoman of the partnership committee. They pitched the non-profit Bayes Impact, which uses data to help the underserved by building open-source software products that are donated to disadvantaged citizens. Three winning grants were awarded this week — $100,000 for the first prize winners, $50,000 for second prize, and $25,000 for third prize. Benjamin’s team, which won the $100,000 grant, was able to secure an additional $100,000 in matching Goldman Sachs Gives commitments from other partners for Bayes Impact. Recruiters and human-resource staff across the Street know that millennials want to feel like their work has an impact. In an effort to hire and retain top talent, investment banks have been rolling out increasingly creative initiatives for junior staff. Barclays, for example, recently launched a half-day “ideation workshop,” giving junior bankers the chance to play startup founders for the day and develop problem solving, presentation, and teamwork skills. Goldman Sachs is also overhauling the way it provides feedback to better suit the needs of millennial employees. “Folks that are coming into the firm out of universities are looking to do more,” Edith Cooper, Goldman Sachs’ head of human capital investment and vice chairwoman of the partnership committee, told Business Insider. “So many of them have recognised their role in society, so we felt that it was important for them to be able to really express those interests and those causes that they’re excited about and partner literally with the most senior ranks of the firm on making a difference in these organisations,” she added. After the competition was announced in March, 125 teams comprising some 450 analysts submitted applications. With the help of volunteer judges at the vice president-level, those were eventually whittled down to 6 final teams. At that stage, the analyst groups were each paired up with two vice presidents who coached them through the in-person pitching process. Mark Wetzel, a VP in the merchant bank, and Casey LaFlamme a VP in securities, coached the winning team. By the time they got in front of the partnership committee, the team had rehearsed their 8-minute pitch upward of 40 times, Benjamin said. They had settled on Bayes after searching for an organisation that demonstrated impact, scalability, and innovation. The analysts embarked on an extensive due diligence process, getting to know Bayes’ management team and connecting them with Goldman’s own information security team. Goldman SachsThe winning team presents to the partnership committee. Bayes’ cofounders, Paul Duan, 24, and Eric Liu, 25, were similar both in age to the analysts, who are between 23 and 25 years old, and in mindset. Bayes’ Liu said the Goldman Sachs juniors went out of their way to get to know his organisation — digging into its model, asking for filings and documents, getting to know individual groups within the company, and even speaking to its board members. “For a group of people that had no experience in the non-profit space, they probably came out with a stronger pitch for Bayes than I’ve given before,” he said. Having been introduced to Goldman’s information security team and the security division’s strats team, Bayes will meet next week with Goldman Sachs Gives to discuss next steps and how the bank can continue to work with the organisation. The second-place grant will be given to Digital Green Foundation, which a team of three from Bengaluru pitched. In third place is Solar Air, which was pitched by a team of three from London.